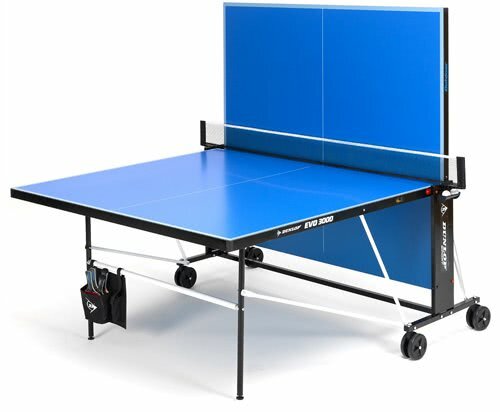 The Dunlop EVO 3000 is a high quality outdoor table, which has been fully weatherproofed and has a sturdy steel construction with full length steel side panel. The EVO 3000 also has some key features that makes it really stand out - a table top side edge protection that measures 40 x 20mm, adjustable feet for levelling and an easy and simple to use folding system. The table also has an integrated net and post system, handy ball holder near the net and a comprehensive high quality accessory pack.